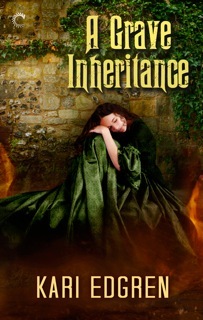 Descended from the Celtic goddess Brigid, Selah Kilbrid is bound by immortal law to serve humankind. But as the last Goddess Born in the New World, she must conceal her power to heal or risk being charged as a witch. For eighteen years, Selah safely navigates the narrow gap between duty and self-preservation. Until the day a prominent minister uncovers her secret. Already tempted by her large estate, he soon covets her power and demands marriage in exchange for his silence. Terrified, Selah flees to Philadelphia where she strikes a deal with an arrogant stranger. It doesn’t matter that she suspects Henry Alan harbors his own dark secrets. Once he agrees to the scheme, Selah refuses to look back. But as unseen forces move against her, she’s unsure which poses the greatest danger—a malignant shadow closing in from outside or the fire that threatens to consume her heart. Buy it now on Amazon, Barnes & Noble, and Carina Press.